Waipu Museum tells a settlement story unique in New Zealand’s history and with its modern innovative approach it has won a reputation as one of New Zealand’s finest small museums. Come and discover how one thousand Gaelic speaking emigrants from the western highlands of Scotland escaped the notorious Highland Clearances and eventually arrived in “the virtual paradise” of Waipu! Discover how this beautiful region has become the “Heart Place” of thousands of Waipu’s ‘Scots Highland’ descendants. You may even have some historic links to the Waipu story so come in and explore genealogy at Waipu Museum but please remember – Make an appointment first! 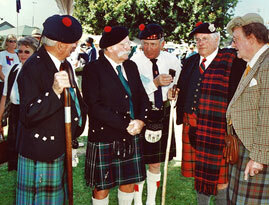 Learn how the co-operative systems and unique culture of the Highland’s early settlers created the friendly and caring traditions that can still be discovered in Waipu to this day. All are part of the story told at Waipu Museum and the museum staff are here to greet you and help with information about the local district – come and experience Waipu’s warm, welcoming community atmosphere – get your first taste of this at Waipu Museum. 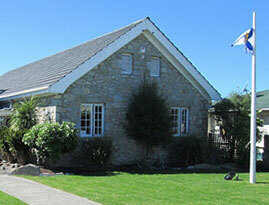 The once quiet village of Waipu has been the hub of a dynamic rural community for over 150 years. Cradled in the south west corner of beautiful Bream Bay, the Waipu district is rich in history, delightful coastal scenery and glorious beaches. These days Waipu is buzzing with visitors and boasting a lively mix of cafes, eateries and specialty shops. At the heart of all this is situated the famous Waipu Museum. Check our website regularly or like our Facebook page for up and coming events and/or exhibitions. Final year for “Waipu and The Great War.” Visit Waipu to experience the final year of the WW1 story boards detailing Waipu’s involvement with WW1. These can be seen in historically relevant places around the village and its environs. Created by the Museum you can obtain a free map showing their whereabouts. 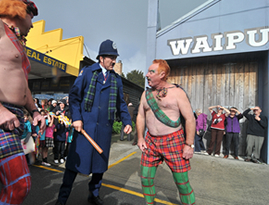 Come and celebrate the “Winter in Waipu” festival held each July. 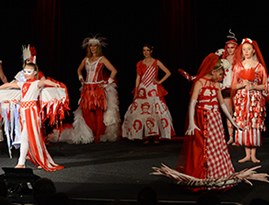 Make sure you book tickets early for our annual wearable art event “Art n Tartan” – Waipu Museum’s contribution to this festival. It is an amazing spectacle of light and sound, music and dance, highlighting exceptional entries that are submitted by contestants to this popular annual awards show each July. Take home a piece of Waipu. Drop in to Waipu Museum shop and check out the beautiful range of gifts reflective of both Waipu Scots and New Zealand heritage or browse our online gift shop.